AN ORLANDO DREAM - PARADISE PALM VILLA - a modern well appointed luxurious private villa that is TRULY wheelchair accessible, extra large pool and deck with pool hoist, extra large site, conservation view, indulgent free standing hot tub, wireless internet access, games room with pool table, foosball, PS2, ramps at entrances for wheelchair access, accessible bathroom with roll in shower, flat screen TV's & chromecast in all bedrooms - A HOME OF DISTINCTION IN AN UNRIVALLED COMMUNITY !! 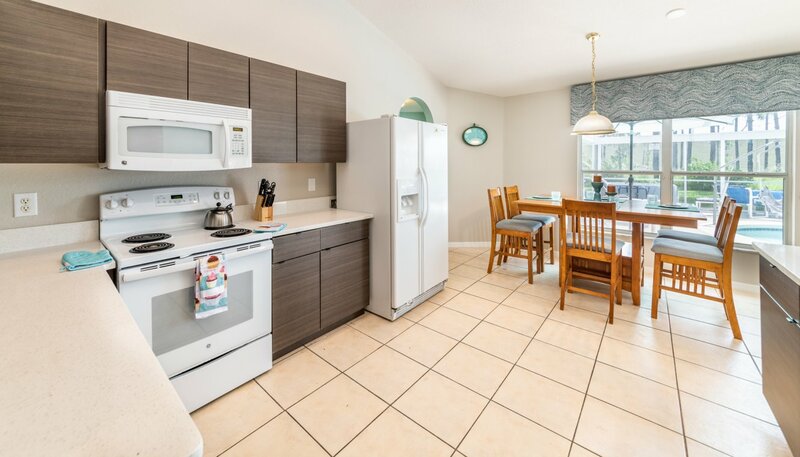 After breakfast in the fully equipped kitchen and a cuppa joe fresh from the Keurig, it's time to change into swimsuits and step out onto the expanded pool deck. 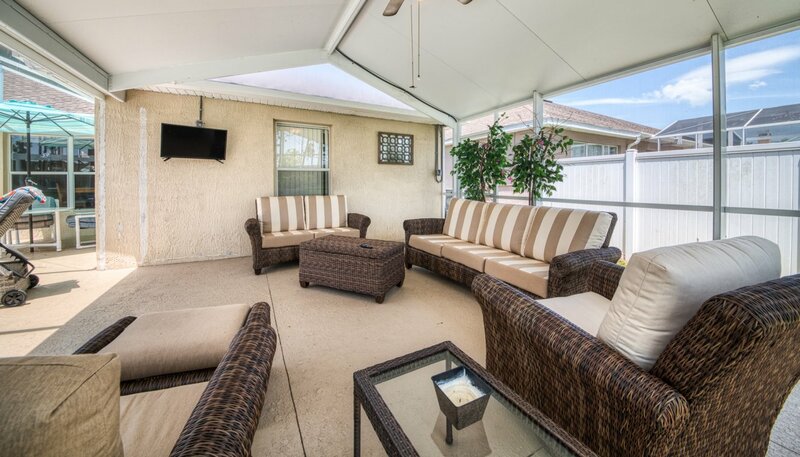 Grab a cool drink and settle into your padded lounger while someone grills up burgers for the whole gang on the BBQ. 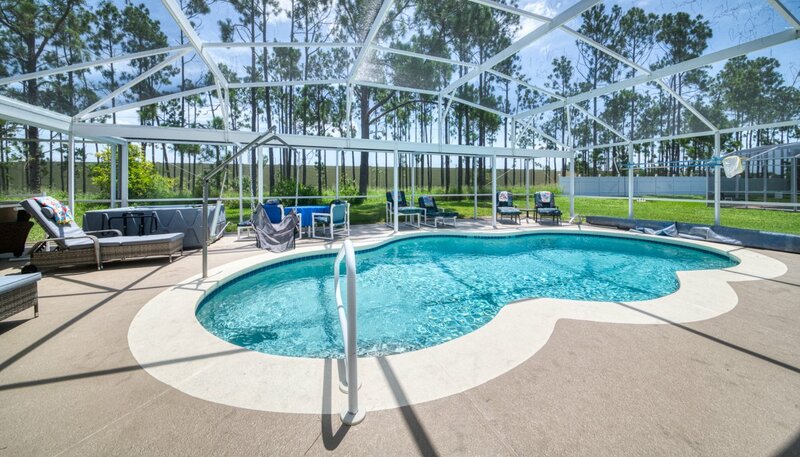 The larger than average sinuous pool shimmers in the glorious Florida sunshine and is perfect for relaxing by. 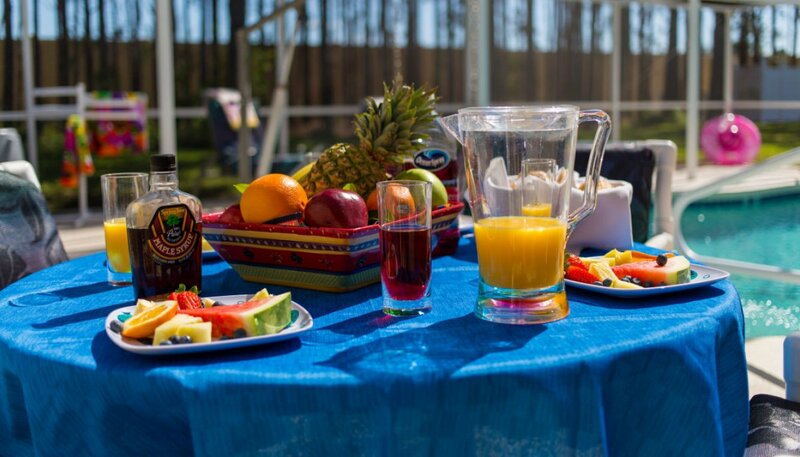 The patio is furnished with 6 luxurious padded sun loungers and 4 chairs. 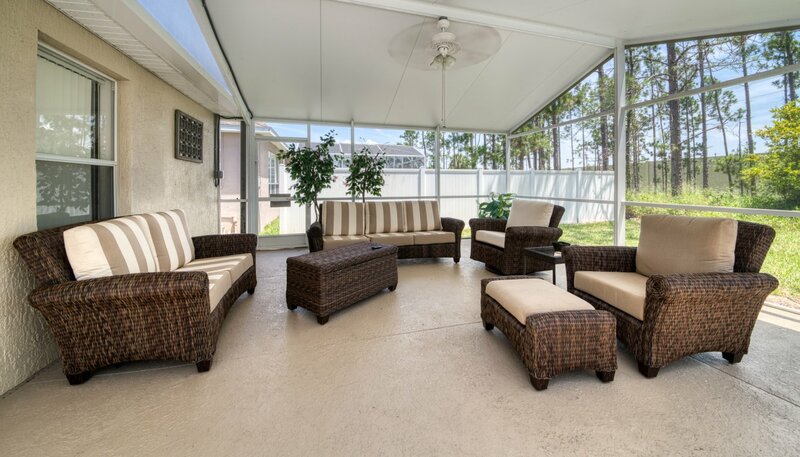 The BRAND NEW LANAI provides shade if you just want to chill out with a book or relax by watching TV (photos to follow ASAP). 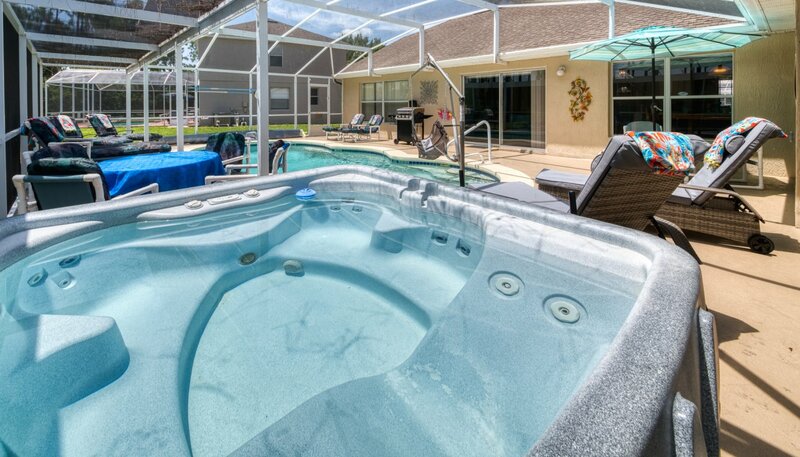 The bubbling soothing waters of the hot tub Jacuzzi just invite you to plunge in and ease away the aches of the day - great after a full day at the parks !! For less able guests we have installed a removable pool hoist. 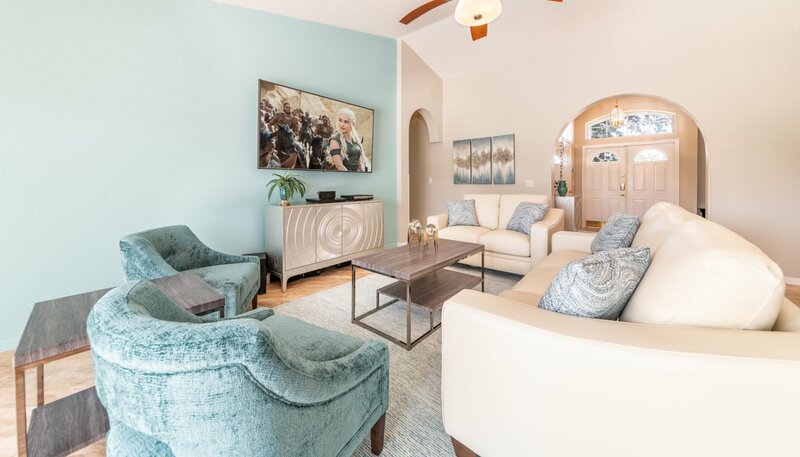 Inside, the house is A/C-cooled to perfection, so you can switch on the 50” flat-screen TV (with cinema-quality surround sound) and watch the big game in comfort. 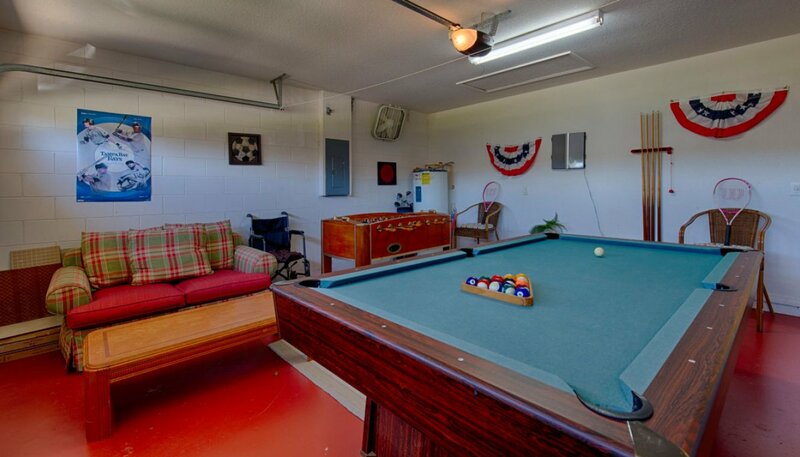 Or take that competitive spirit to the game room for pool, foosball, or air hockey. 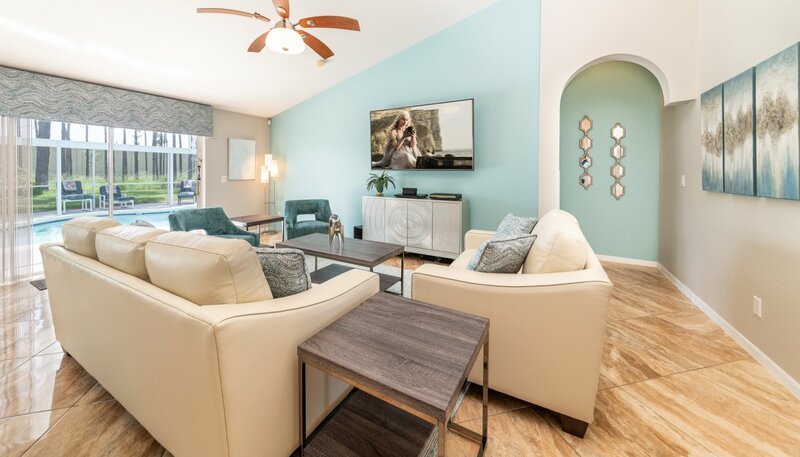 Comfortably furnished in shades of chocolate, aqua and pink, the family room overlooks the pool area and has direct ramped access to the deck and pool. Whether you want to veg out in front of the TV, relax with a good book or listen to some music, this is the place to do it. 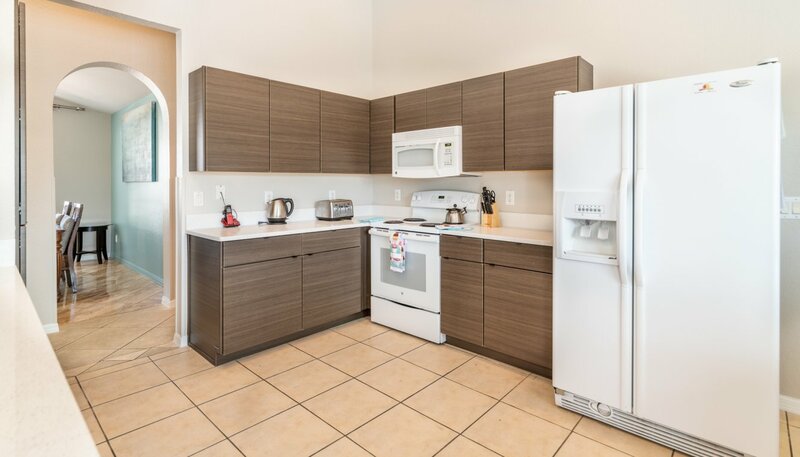 Our large open plan kitchen overlooks the pool and patio area and is fully equipped with full size stove, microwave oven, fridge/freezer, dishwasher and in fact, everything else you could possibly need to create a simple snack to an extravagant banquet meal. All china, glassware, cutlery and cookware are provided. 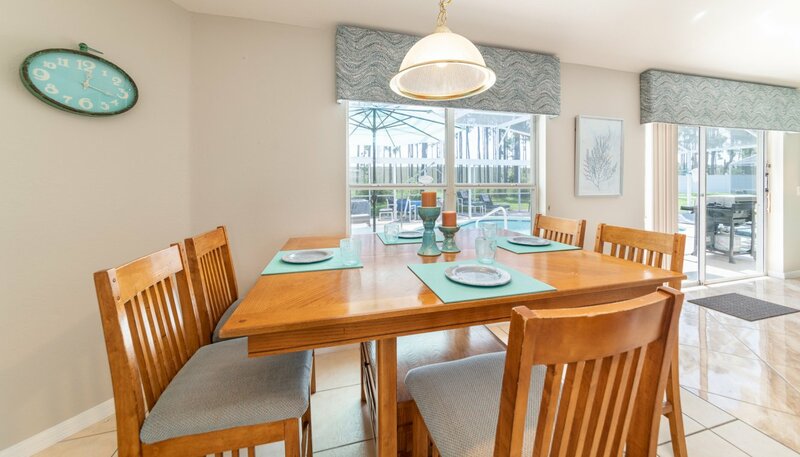 The adjacent breakfast nook is furnished with table and 8 chairs - enjoy breakfast and lunch overlooking the beautiful pool. A formal setting for elegant meals overlooking the front landscaping. The dining room seats 6 people comfortably and is connected directly to the kitchen via an archway. 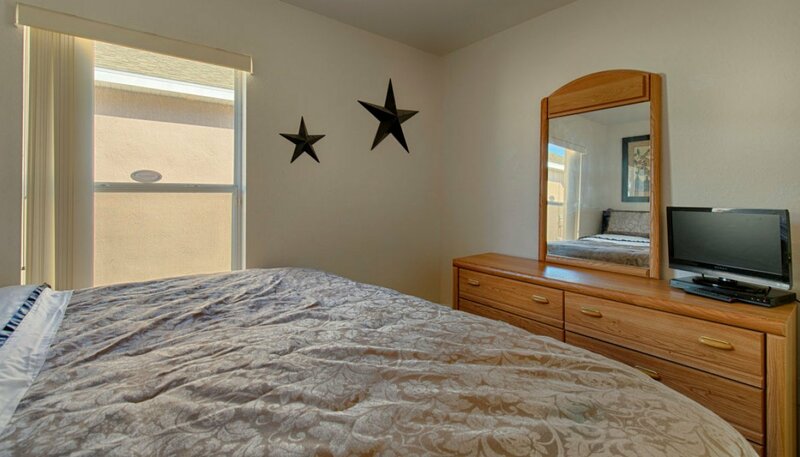 For those with limited mobility, the pool-view master suite is magic. At the end of the day, sink into your king-sized bed with a memory foam topper and dream sweetly. A glorious, golden bedroom, in which it is just a delight to awake in the morning. It's furnished with a sumptuous king size bed with matching bedstands, lamps, dressing table and 40" flat screen TV with Chromecast. It sleeps two with room for a cot (crib) if required. There's a walk-in closet with safe and this leads to the master ensuite bathroom. 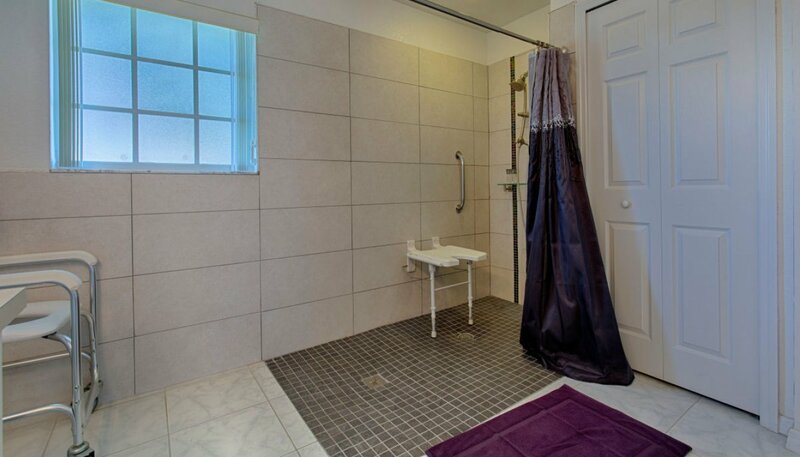 The master ensuite bathroom has a roll in shower with seat, vanity unit with his and her's basins plus easy-access wash basin and raised WC with grab bars for less able guests. A very pleasant room decorated in sumptuous shades of chocolate and aqua, this room has a queen size bed, side tables, lamps, dressing table and walk-in closet. There's also a flat screen TV with DVD player. The adjacent full bathroom has bath with shower over, vanity unit and WC. 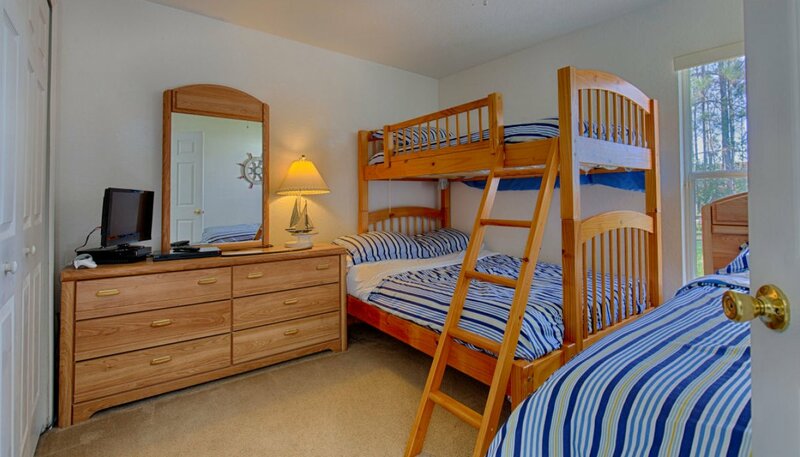 This bedroom is furnished with a bunk bed (double & single) and a twin bedroom sleeping a total of 3. There is a PlayStation 2 with a flat screen cable TV & DVD for your enjoyment (games can be hired from the local video store). 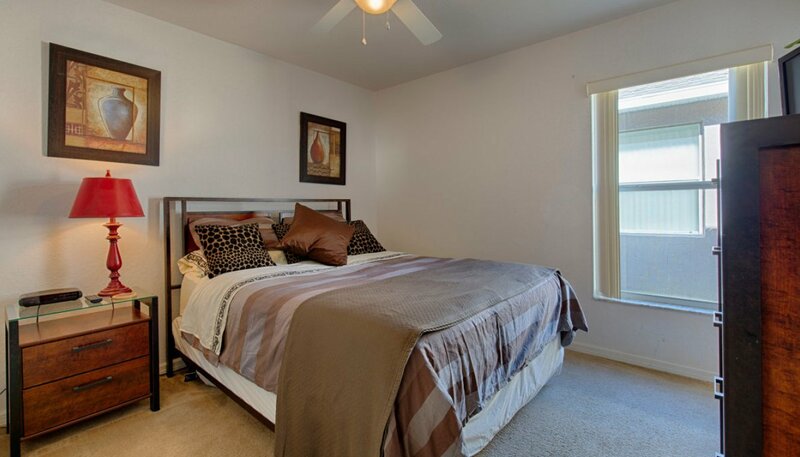 There is ample space for clothes in the large closet and dresser. 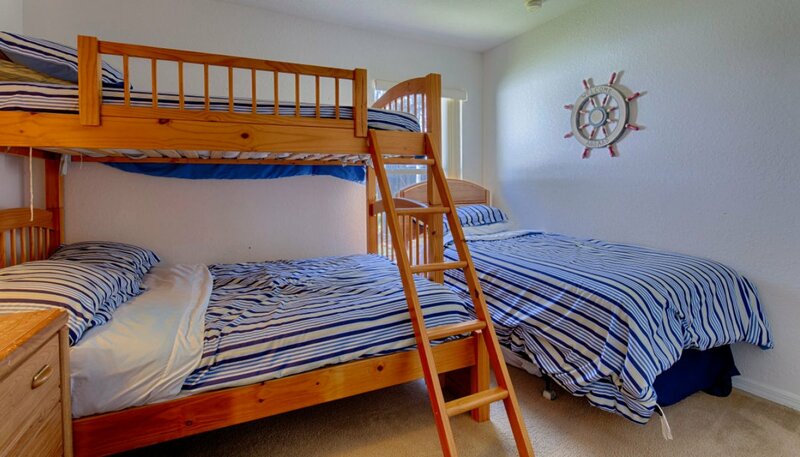 These 2 rooms are furnished with king beds each and have closets, dressers and flat screen cable TV's with DVD's. This bathroom is shared between bedrooms 3, 4 & 5 and has a full bath with shower over, vanity unit and WC. 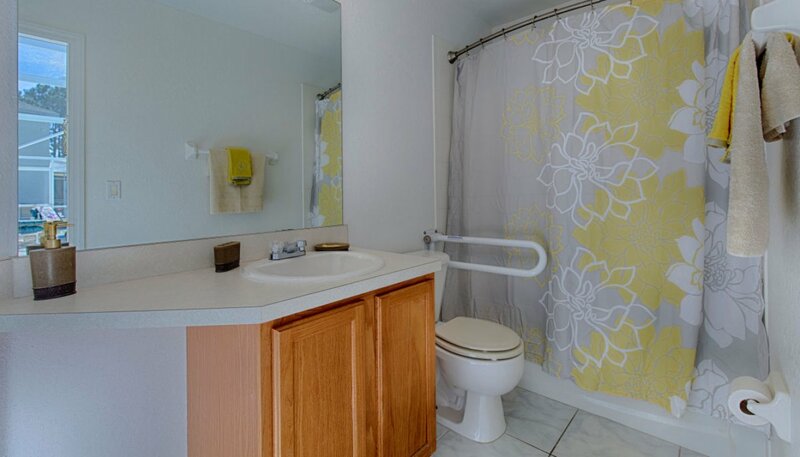 We have also installed grab bars for less able guests. 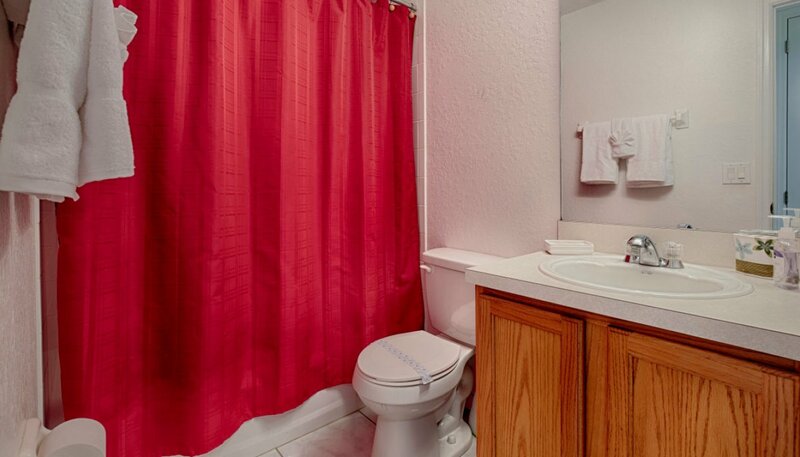 This bathroom with direct access to the pool deck also serves as the pool bathroom. Fancy a day away from the parks? 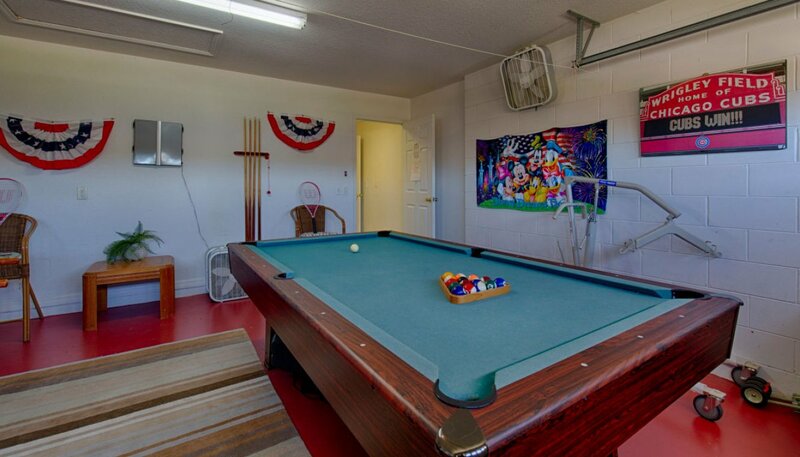 Why not spend it in our fully equipped Games Room with full size pool table, table foosball, air hockey and competition darts for your enjoyment. The laundry is equipped with a washer, dryer, iron and ironing board and there is a washing line in the garage for the delicates which you don't want to dry in the dryer. 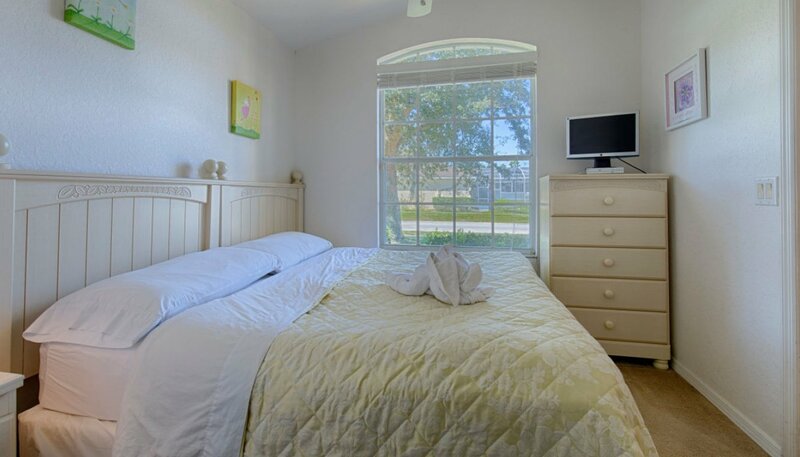 ALL bedrooms are provided with high quality linens and bedding. Have to stay in contact with the office ? 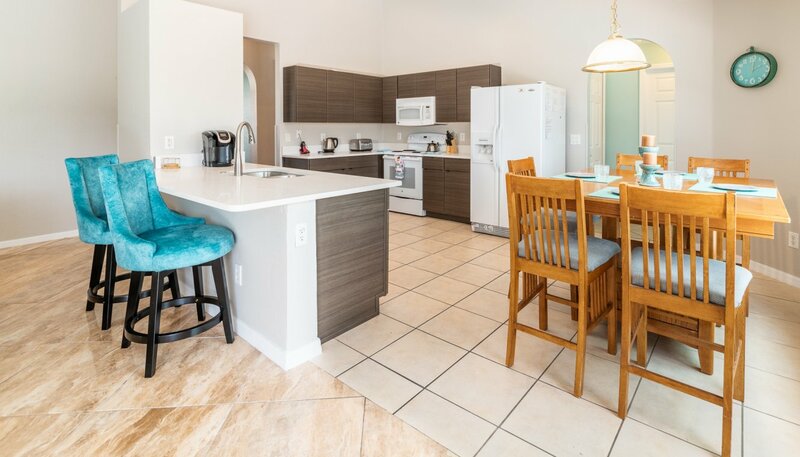 Why not do so in the comfort of our office area which is furnished with a desk and comfortable chair and equipped with high-speed wireless Internet access just so you can keep in touch..... even by the poolside if you wish !! 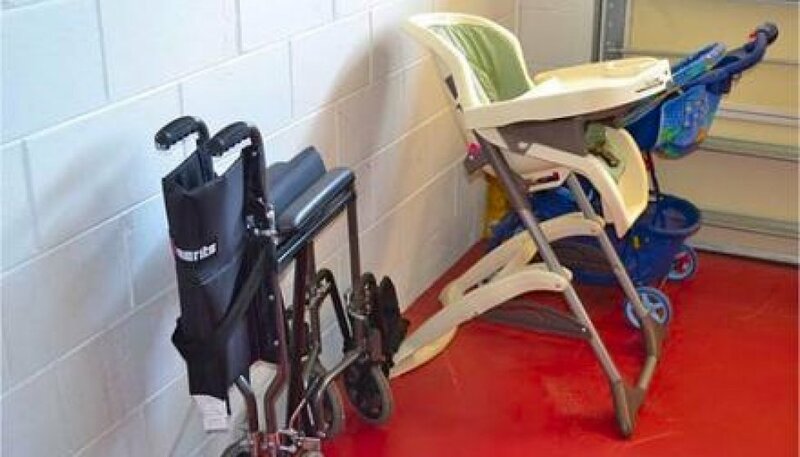 We have tried to include everything a young family could wish for in a holiday home such as a cot (crib), highchair & strollers. I just wanted to thank you for the opportunity to stay at your home this past weekend. My family and I had such an amazing time. It was exactly what we all needed - a vacation away to just spend time together and enjoy. 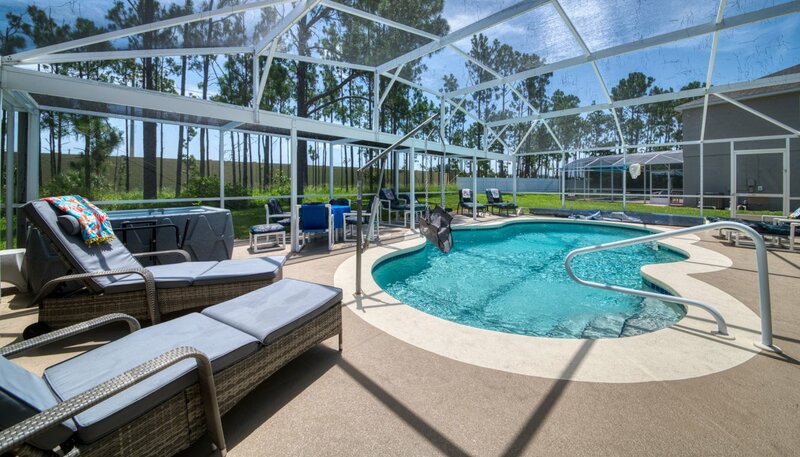 In fact, we all decided to leave Disney early to go back to the house so that we could enjoy the pool and play games. We are Disney pass holders and live about an hour away. Even though we are close, we are hoping to take several last minute getaways throughout the year. 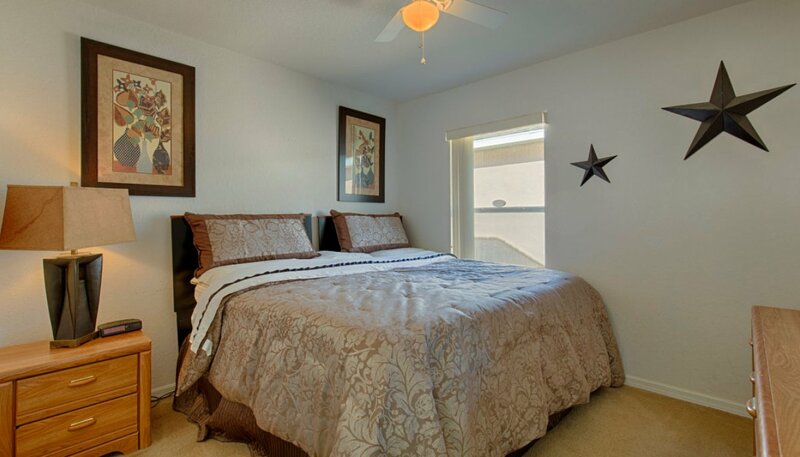 We all hope to have the opportunity to stay at your rental again soon. 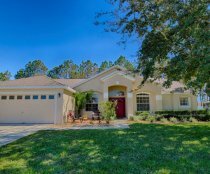 First off the Highlands Reserve community is fantastic. 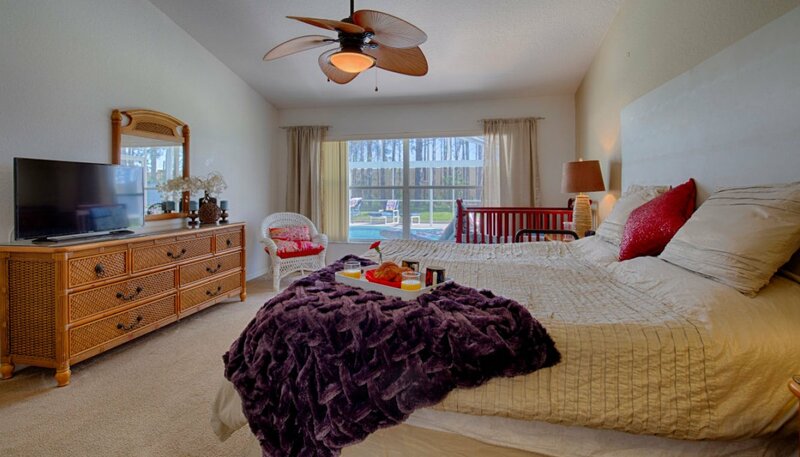 There is a communal pool, tennis courts, playground and a beautiful golf course open to the public. 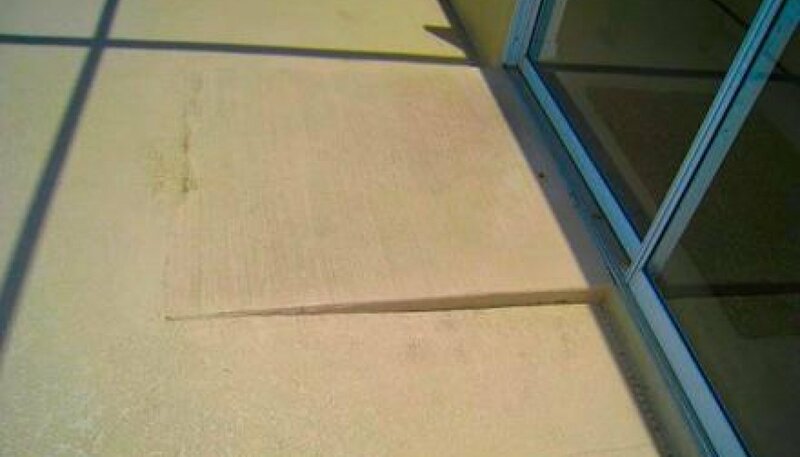 Sidewalks for taking daily walks and very immaculately maintained grounds. upon entering the villa, our expectations were surpassed in every way. 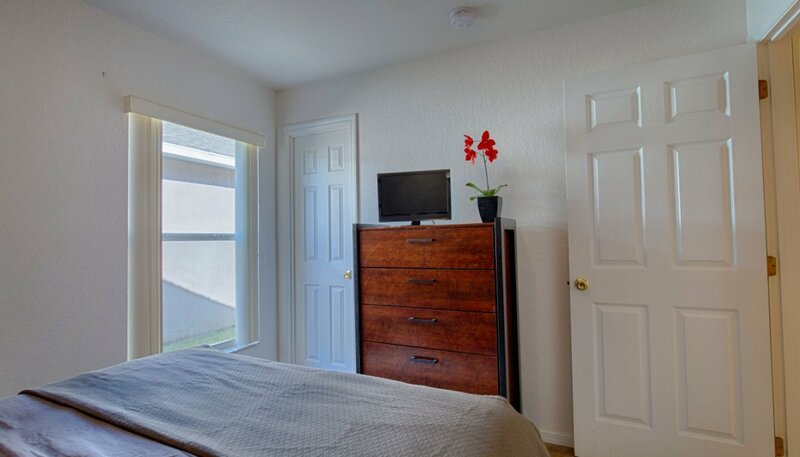 From the luxury amenities, comfy beds, luxury bedding, fluffy towels, fully prepared kitchen (all the way to the adorable flamingo shaped "chip clips" for our bags of goodies) etc. 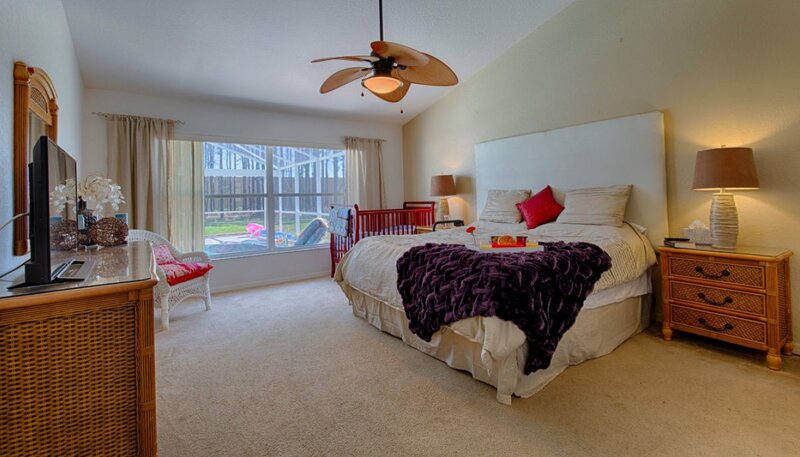 to the handicap accessibility features built into this lovely spacious home we were wowed! We were equally impressed with the very responsive management company who came out straight away when we contacted them, ensuring that we had every comfort we needed (Thank you, Helen). 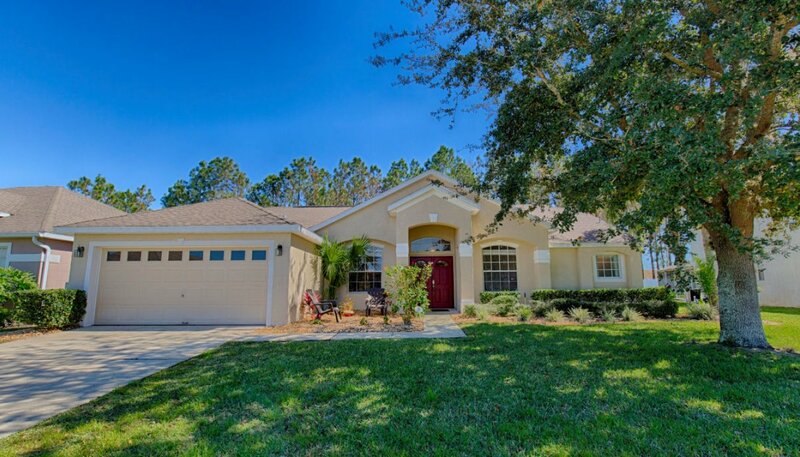 The property is in such convenient proximity to the parks and attractions, but the villa's amenities were so nice that at times it was difficult to leave to explore the rest of Orlando. 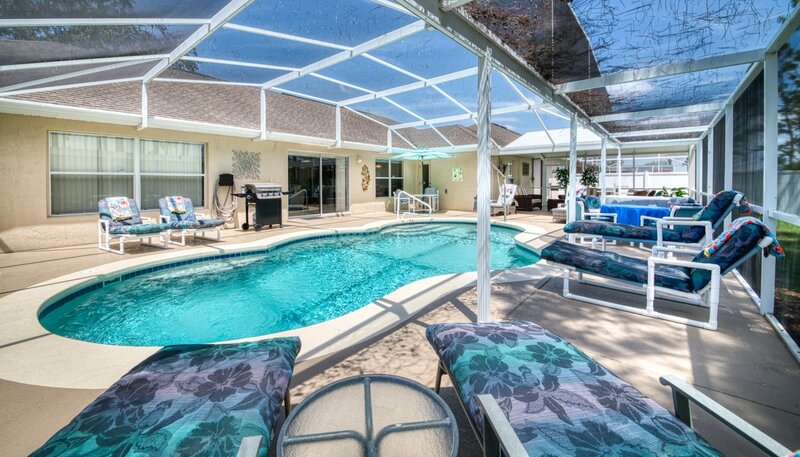 The outdoor dining and entertainment area was wonderful and having the swimming pool hoist made this stay complete in every way. It really was a vacation! 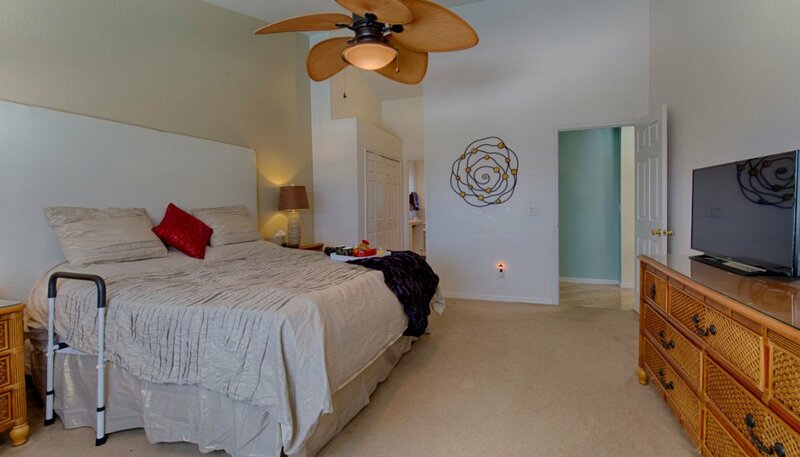 We highly recommend this villa and look forward to returning again soon. 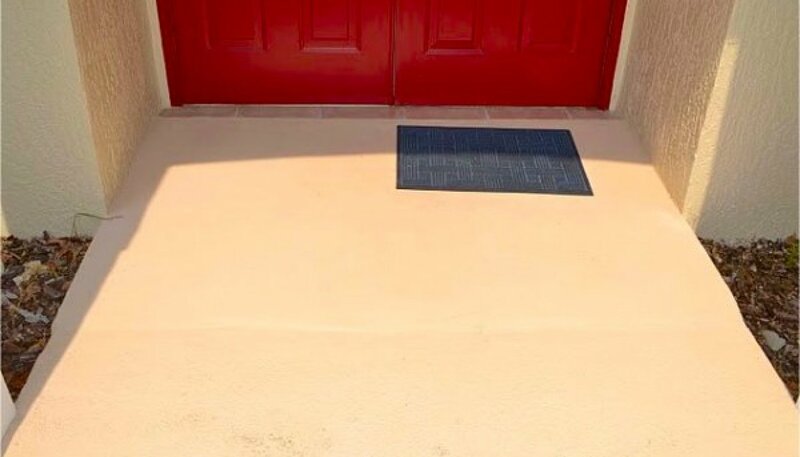 Just wanted to let you know we had a great time in your home in Florida. 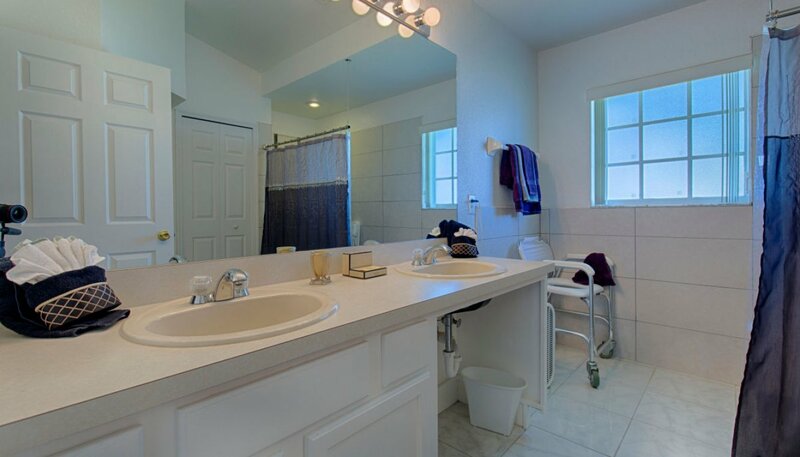 It makes it so much easier for us both with being handicap accessible and roll in shower was great. Thank you very much.